Are you a medical device labeler involved in implementing U.S. FDA Unique Device Identification requirements using GS1 Standards? 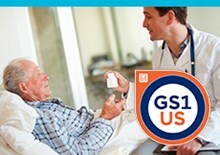 Learn about GS1 identification, barcode, and data standards that can be used to implement U.S. FDA UDI Rule requirements. Since the recording of this course, the U.S. FDA has announced new information in the form of Draft Guidance, Final Guidance, extensions or modifications to aspects associated with some UDI requirements. Please refer to the U.S. FDA UDI website for more information on these updates. Download our course description flyer. Approximate time to complete the series is four hours. An assessment is administered during the online training to test knowledge of the key takeaways. Medical device manufacturers or any person responsible for, or involved in, U.S. FDA UDI Compliance and the implementation of UDI requirements for their products. 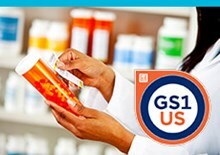 Did you know when you successfully complete a GS1 US certificate course, you can earn an important credential in the use of GS1 Standards? 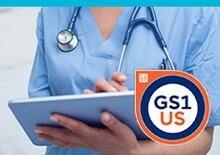 And you can add this new skill to your online profile with a GS1 US Badge and share it via social media. Certificate badge for this course is valid for three years from the time of issuance. Learn more about our badging program.